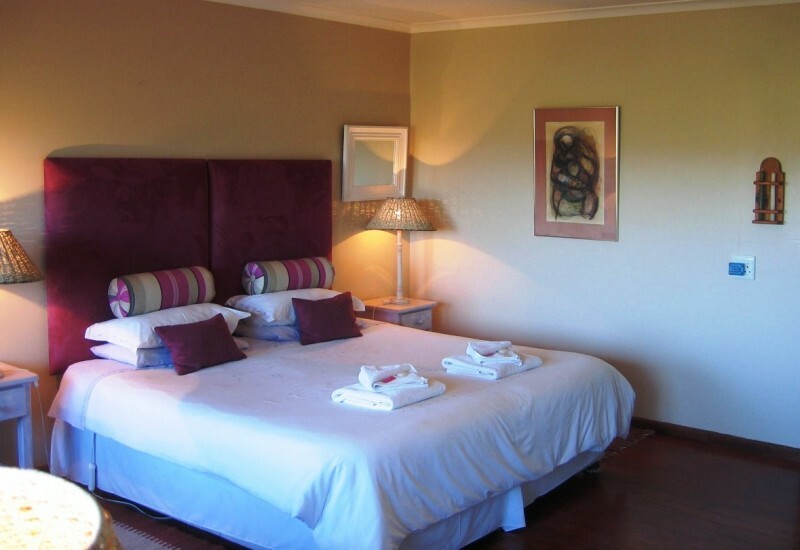 Protea Guest House offers three wooden cottages, situated in a large tropical garden with lovely views of the Knysna Lagoon. One cottage features two bedrooms, two bathrooms, a lounge, and a large sundeck with barbecue facilities. The other two cottages sleep two people each, with their own private sundecks and barbecue facilities. Breakfast is served on the deck of your own cottage, and there is also a self-catering option. Two-bedroomed cottage with two bathrooms, separate lounge / kitchen, and double doors opening onto the private sundeck with lovely lagoon views. Breakfast is served on the sundeck with barbecue facilities. Situated in the forest with a lovely view over the lagoon, it comprises one large open-plan room with a lounge, kitchenette, and sleeping area. Large enough for two adults and two small children. Breakfast is served on the private sundeck with barbecue facilities. Features include: Queen size bed, Fan, Heater, Balcony / patio, Upstairs, Self-catering, Radio, Tea and Coffee Facilities, Bar Fridge, Hair Dryer, TV - local television channels.